One of last year's breakout hits, both with critics and audiences, was Alex Garland's Ex Machina. Part of that success can easily be attributed to the eccentric, yet intimidating performance given by Oscar Isaac as the mad genius behind the film's central A.I. So naturally, re-teaming such titans would be a match made in Heaven with the right material, and it looks like we're about to hit the cinematic pearly gates again as Isaac and Garland are teaming for the adaptation of the sci-fi novel Annihilation. The good news comes to us from The Tracking Board, which sees Isaac joining the already established core cast of Jennifer Jason Leigh, Gina Rodriguez, Tessa Thompson, and Natalie Portman. Portman plays the biologist who serves as the narrator for Annihilation, with Oscar Isaac presumably playing her husband. Should this be true, the pairing of the two actors would be perfect, but to truly go into why this casting is so brilliant, we'll have to spoil a little bit of Jeff Vandermeer's source novel. Warning: Spoilers for Annihilation are in play. Oscar Isaac's assumed role would be that of a member of the 11th expedition that was sent into the wilderness of Annihilation's Area X. Serving as the expedition before the 12th team that includes Natalie Portman's biologist, the 11th team came back with a slight case of amnesia, as well as a rapid onset of Cancer. The relationship between Portman and Isaac's potential pairing would be complicated, as his condition prevents him from leading a normal life. Considering their relationship was on the rocks before their respective expeditions occurred, this isn't exactly the most promising for our characters. However, it's more than promising for our actors. Being able to pair up Oscar Isaac and Natalie Portman in any sort of film is an opportunity that's too good to pass up, as both are acting powerhouses in their own right. With source material as rich and tense as Annihilation, the casting of these two actors is made even better, and only proceeds to rise in value with Alex Garland's keen sensibilities involved. The complicated nature between their characters would afford Portman and Issac the opportunity to share some dramatically rich scenes. Unfortunately for audiences, but fortunately for Isaac's schedule, the role of biologist's husband isn't terribly involved. The husband is only really present throughout flashbacks, so Oscar Isaac could probably film his scenes in a couple of days, and be back to work in the Star Wars galaxy in no time. If done right, Annihilation stands to be a modern sci-fi smash that frightens as much as it makes you think. 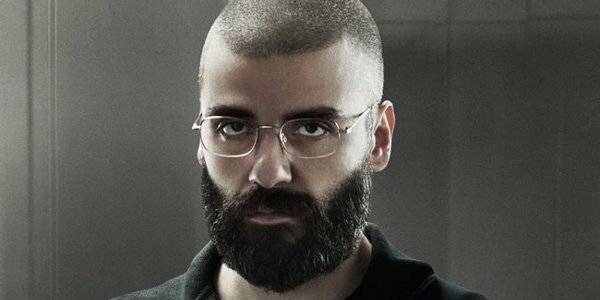 With the talent attracted thus far, including the recently named Oscar Isaac among the ranks of such a promising cast, this film has a chance of being as excellent as Ex Machina. Of course, only time will tell, and as such there is no release date for Annihilation, just the knowledge that the film will start shooting this spring.